High Availability — redirecting requests to alternative servers in the event of a failure. Scalability — distributing reads and writes across servers in a replication architecture. 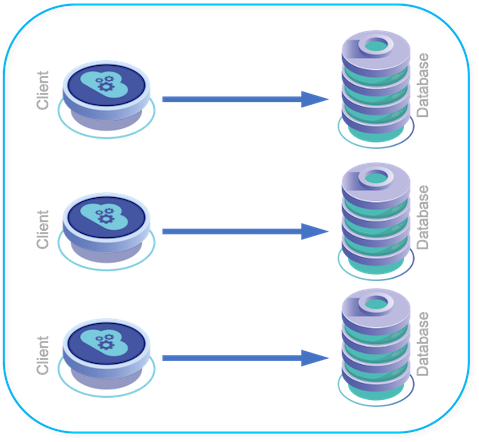 Within a typical basic database deployment clients and application servers will connect directly to databases, as shown in Figure 6.2, “Basic MySQL/Application Connectivity”. The problem with this deployment model is that it is not able to cope with changes or problems. 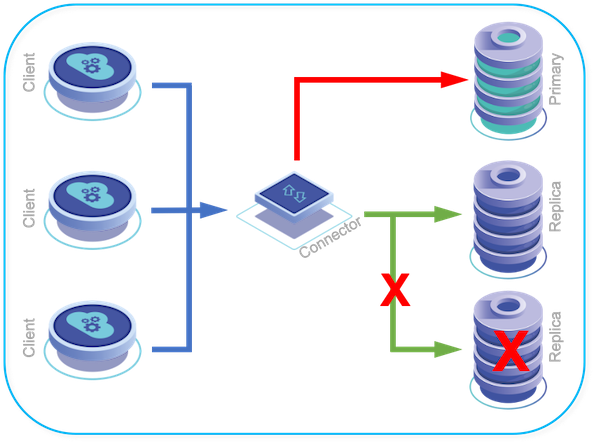 If one or more of your database servers fails, then the application servers must be reconfigured individually to point to an alternative server. In addition, when considering scalability, there is no provision for redirecting reads and writes to masters or slaves. 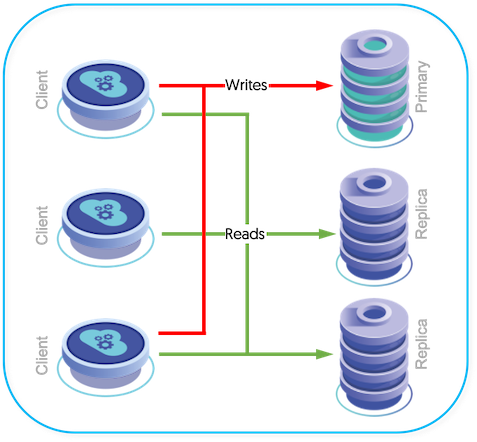 In an advanced application deployment, individual servers may have been configured to connect to masters and slaves and configured your application to talk directly to the master and/or slaves within the database infrastructure to handle the scalability offered by using replication (Figure 6.3, “Advanced MySQL/Application Connectivity”). For this to work the application must have been modified and be read/write aware, and it must have been configured to manually connect to the different databases according to the operation being performed. Although this handles the read/write splitting, enabling servers to write to the master and read from one or more slaves, changes to this architecture and structure are not handled. If the master fails, application servers must be manually updated to direct their queries to an alternative host. As a complete solution for redirecting queries between the master and slave hosts within a dataservice, including HA events. As an HA solution redirecting queries to the master and slaves within a dataservice, but with application driven master/slave selection. When deploying your application with Tungsten Clustering through Tungsten Connector, the application server connectivity is through the connector. The connector takes on the role of primary connection for all requests, while routing and distributing those requests to the active datasources within the dataservice. The Tungsten Connector is located between the clients and the database servers, providing a single connection point, while routing queries to the database servers. In the event of a failure, the Tungsten Connector can automatically route queries away from the failed server and towards servers that are still operating. During the routing process, Tungsten Connector communicates with the Tungsten Manager to determine which datasources are the most up to date, and their current role so that the packets can be routed properly. Because the connectivity is between the application service and the Tungsten Connector, the connection to the Tungsten Connector remains constant. Changes to the datasources, including failures, role changes, and expansion or removal of datasources from the dataservice do not require any modification of the application configuration or operation. For example, in Figure 6.5, “Tungsten Connector during a failed datasource”, the slave datasource has failed. While this would break the connection between the Tungsten Connector and the datasource, the connection between the application and Tungsten Connector remains available, and Tungsten Connector will re-route queries to an available datasource without reconfiguring the application server connectivity. The Connector makes a TCP connection to any available Manager, then all command-and-control traffic uses that channel. The Manager never initiates a connection to the Connector. When there is a state change (i.e. shun, welcome, failover, etc. ), the Manager will communicate to the Connector over the existing channel. The Connector will re-establish a channel to an available Manager if the Manager it is connected to is stopped or lost.